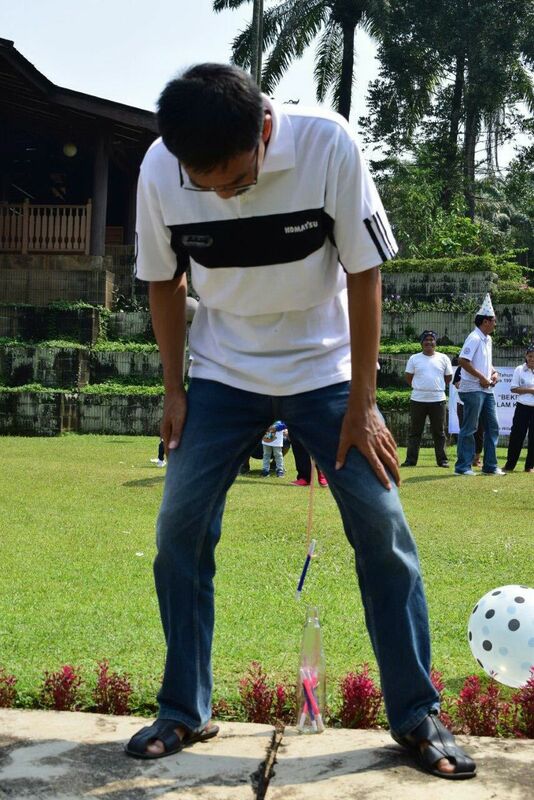 Who does not know about contests of eating cracker, balloon dancing or putting pencil in bottle? 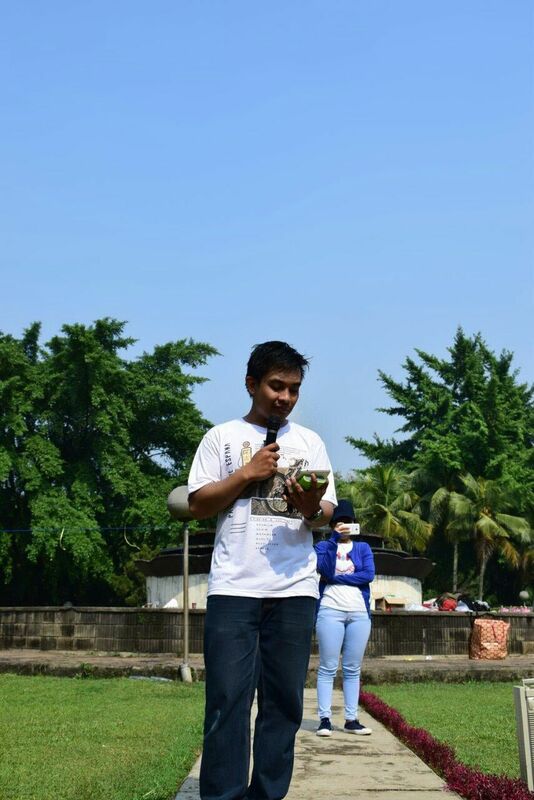 In the celebration of Independence Day of the Republic of Indonesia, they are legendary. 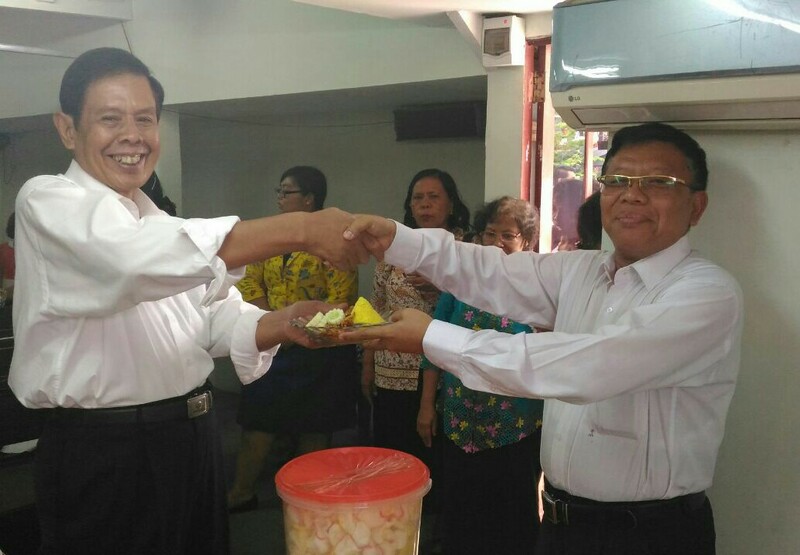 These contests were also played by Pinang Ranti congregation to commemorate its birthday. 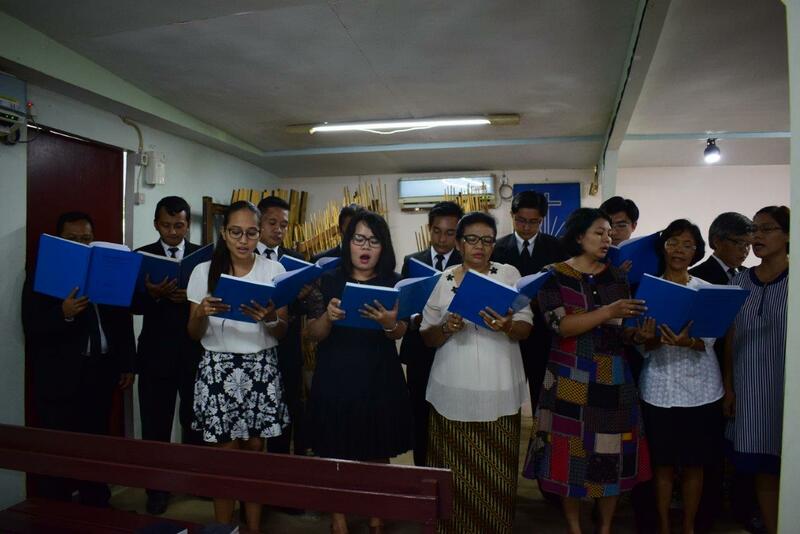 Eighteen years ago, on August 11, 1999, the Pinang Ranti congregation was inaugurated. 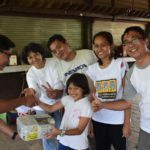 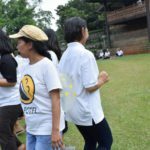 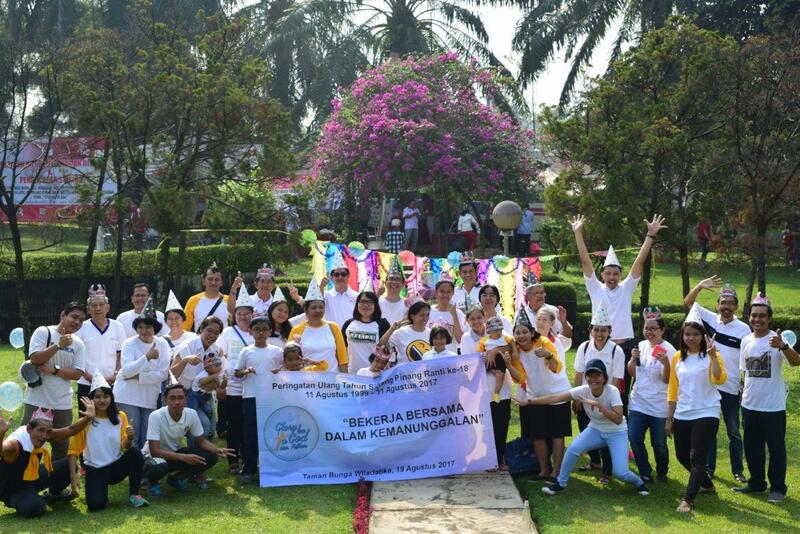 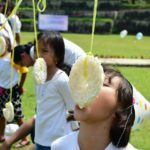 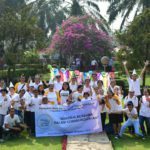 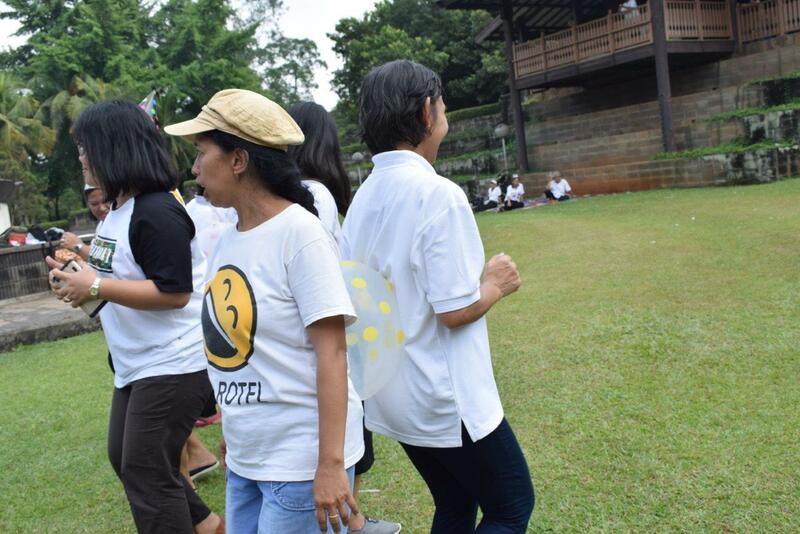 To celebrate, about 40 members gathered at Taman Bunga Wiladatika, Cibubur on Saturday, August 19, 2017 and happily attended various events in it. 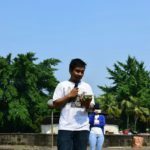 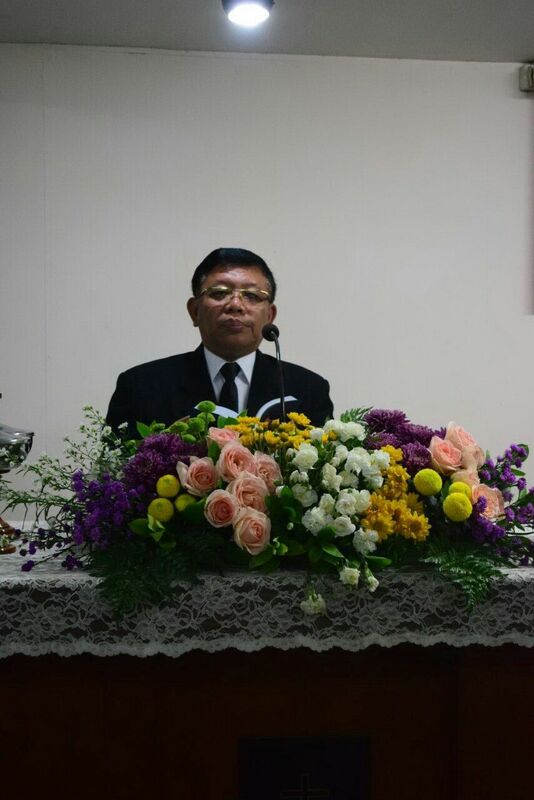 Priest Mulyono (Rector) opened the event containing various contests, including a cracker-eating contest, a race to put markers into a bottle, a race to pass and drink water, a balloon dancin contest and a Bible quiz. 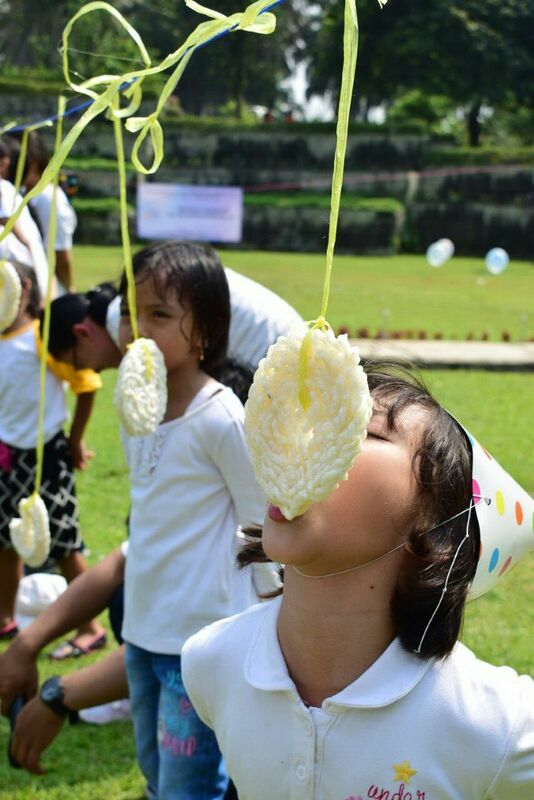 Both old and young looked fun doing it. 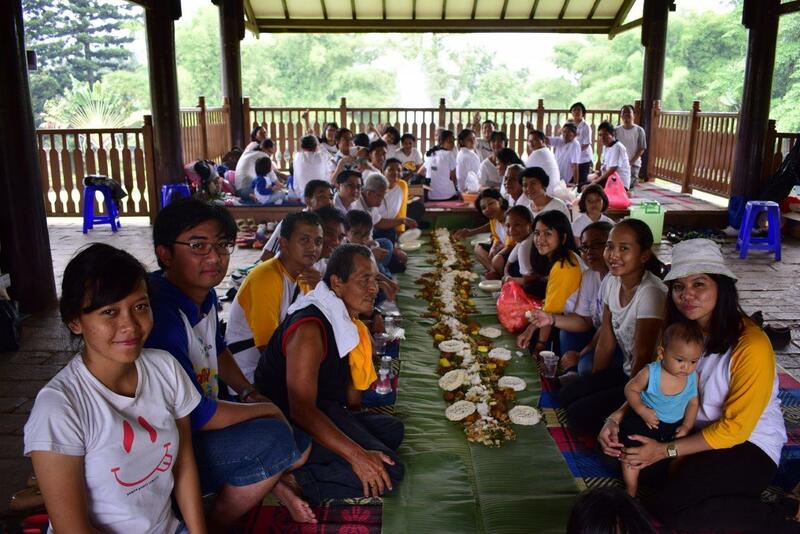 After playing the contests under the heat of the sun, the rest period and the awaited lunch arrived. 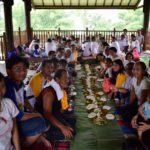 As a unique form of togetherness, rice, vegetables and side dishes were served on long-arranged banana leaves sheets and the participants eat together from there. 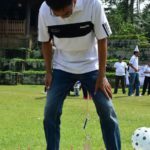 The celebration was not finished the next day. 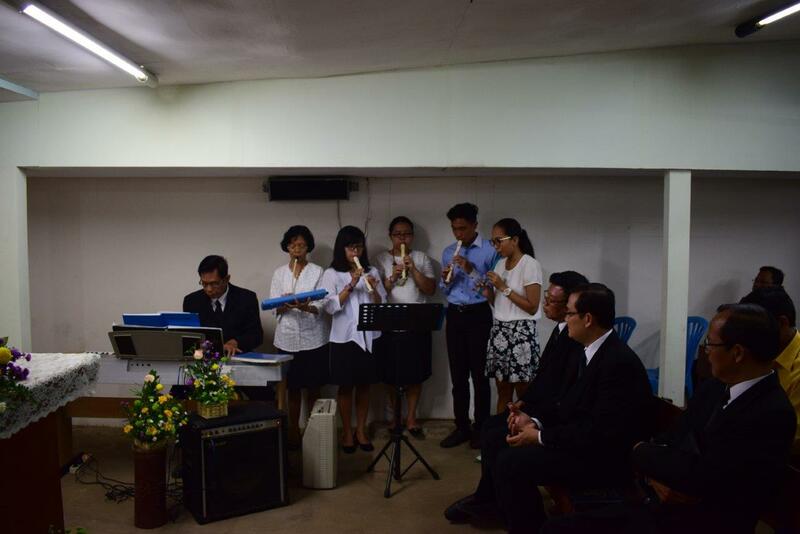 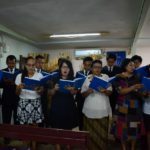 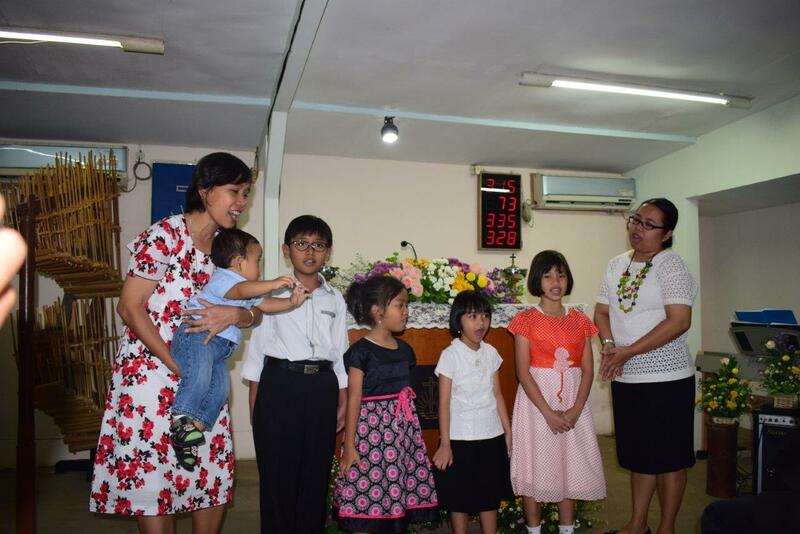 After Sunday divine service led by District Elder Ignatius Susiyanto, a musical program were performed. 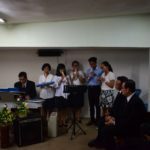 The strains of musical instruments and human voices were sung for the glory of God. 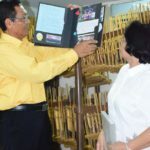 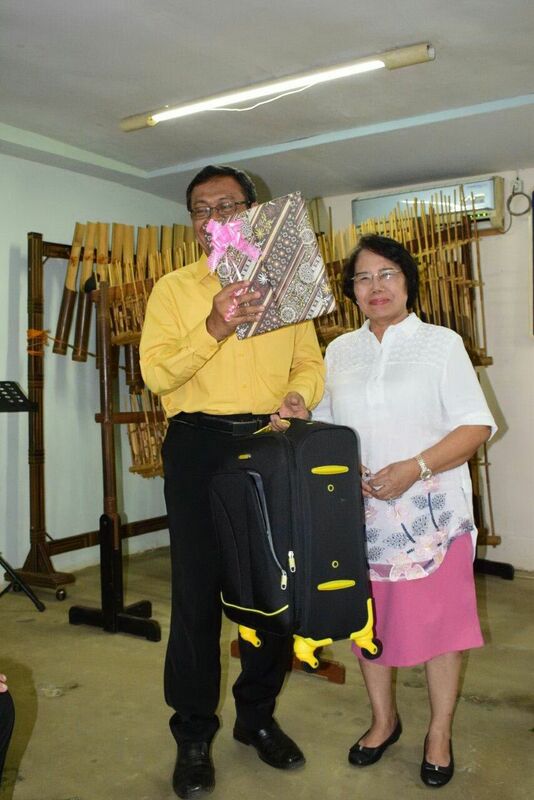 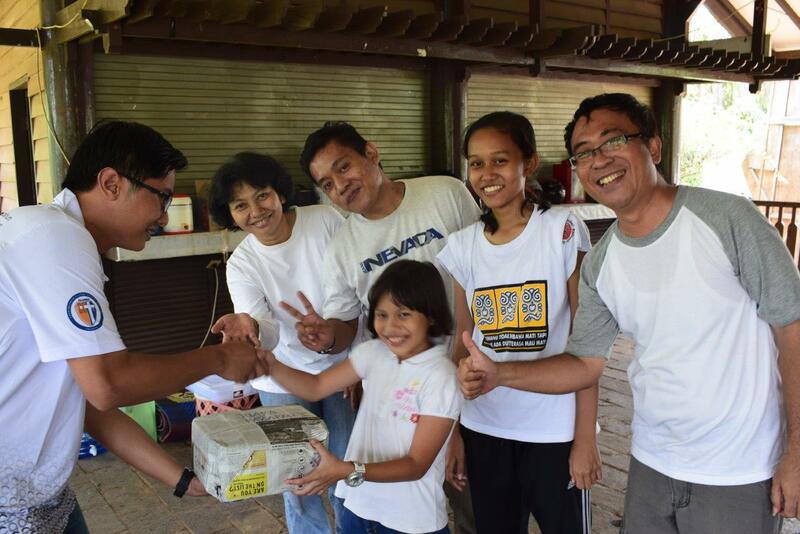 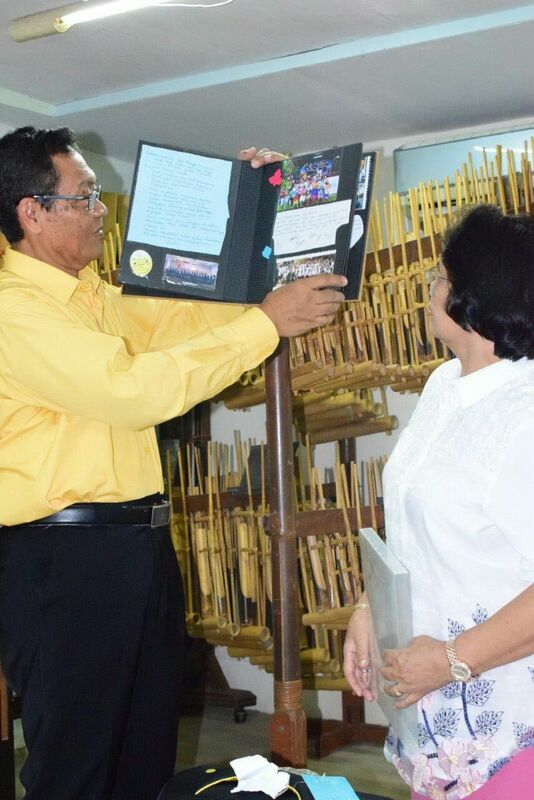 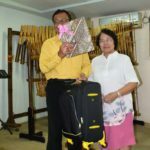 On the same occasion, the Pinang Ranti congregation gave a souvenir to Evangelist (i.R.) 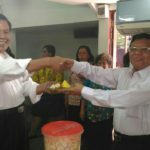 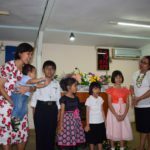 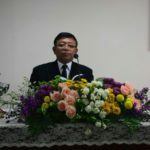 Yutamto Proyosukarto – who had retired on July 16, 2017 – as an expression of gratitude, impression and message for his Evangelist ministry.